St. Cloud, MN – The St. 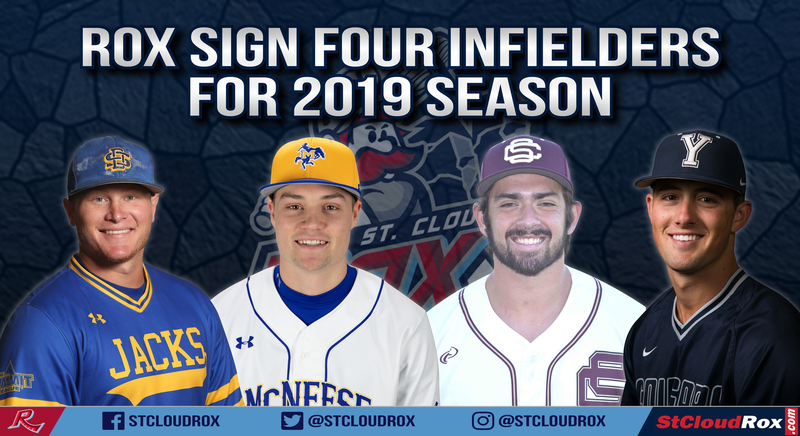 Cloud Rox today announced the organization has signed four infielders for the 2019 Northwoods League season. Those players include infielders Reid Bourque (McNeese State), Adam Lopez (San Diego), Josh Falk (South Dakota State) and Jackson Cluff (BYU). Bourque, a Louisiana native, is entering is sophomore year at McNeese State University this season. In 2018, Bourque appeared and started in 56 games for the Cowboys, ending the year with a .267 batting average. He recorded 54 hits, four doubles, a team-high two triples, three home runs and 25 RBI during the season. Before attending McNeese State, Bourque attended Sam Houston High School, where he ranked No. 10 in the state of Louisiana at shortstop by Perfect Game. He earned All-State and All-District honors while playing all four years at Sam Houston. Lopez, a California native, is entering his junior season at the University of San Diego this season after spending his first two collegiate years at Southwestern Community College. While at Southwestern, he appeared in a total of 83 games over two years, finishing with a career batting average of .341 with 110 hits, 52 runs scored, 26 doubles, four triples, six home runs and 61 RBI. In 2018 alone, Lopez tallied a .350 average, leading the team in runs scored (38), doubles (14), home runs (six) and RBI (35). Falk, a Minnetonka native, is in his redshirt sophomore season at South Dakota State University in 2019, appeared in 48 games for the Jackrabbits a season ago. Starting in 47 of those games, Falk tallied a batting average of .286, which ranked fifth on the team. He also recorded 54 hits, 28 runs scored, a team-high 11 doubles, six home runs and 30 RBI. Before his time at South Dakota State, Falk spent a season at Gulf Coast State College in Florida, where he recorded five home runs and 21 RBI before transferring to join the Jackrabbits. While at Minnetonka High School, he earned all-section honors his junior and senior seasons, finishing his high school career with a .380 average and nine home runs. Cluff is in his sophomore season at Brigham Young University in 2019. In his career with the Cougars, Cluff appeared in 42 games, tallying a batting average of .284. He has recorded 19 hits, 16 runs scored, five doubles, one triple and 10 RBI. Prior to his time at BYU, he attended Rocky Mountain High School, where he lettered three times in baseball and earned All-State honors during his senior season. Field Manager Augie Rodriguez and the Rox organization will continue to build the roster for the upcoming season. 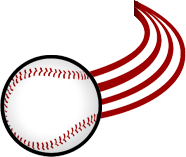 To date, the Rox have eight players signed for the 2019 season.